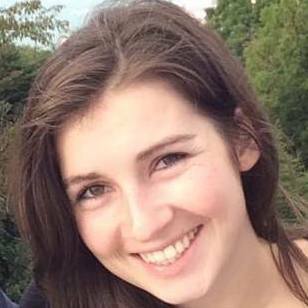 Coralie Salesse-Smith is a doctoral candidate in plant biology from Oakville, Ontario, Canada. After earning her undergraduate degree at the Canadian University of Waterloo and learning of the merits of Cornell’s plant biology graduate field, she came to Ithaca to pursue further studies. My background is in molecular biology. I study how we can improve photosynthesis in corn, primarily through the enzyme Rubisco. Rubiscos role is to convert CO2 from the atmosphere into carbon compounds such as sugars which are used for plant growth. Rubisco is often a limiting factor in photosynthesis and has been a target to improve photosynthetic efficiency for several decades. Rubisco is also one of the world’s most abundant proteins. Ultimately the ability to improve photosynthetic efficiency could lead to increases in food crop yields. In 2011, I did an undergraduate internship in David Sterns lab at the Boyce Thompson Institute and became fascinated with the molecular biology of plants. I ended up returning to the group to complete my graduate work. You were lead author on “Overexpression of Rubisco Subunits With RAF1 Increases Rubisco Content in Maize.” What do you imagine are the larger implications of this study? In this study we increased Rubisco protein in corn, resulting in increases of photosynthesis and plant growth. The first step is to move from the greenhouse into the field and see if we see the same improvements. Ultimately if these improvements are large enough, this technology could be used to improve growth and yield in production varieties of corn. Hiking, traveling, boardgames, puzzles, and cooking. Cornell has a great plant biology department. I defend my thesis in November and will be graduating!